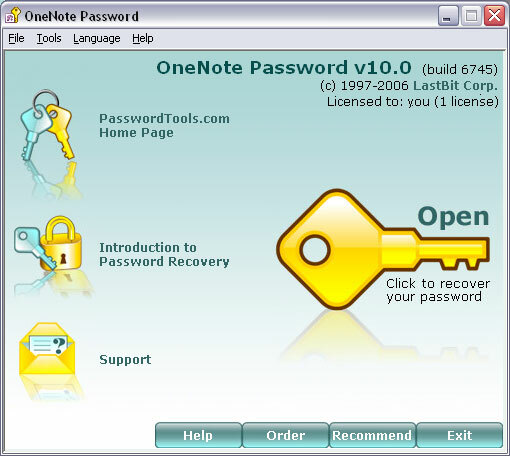 OneNote Password is a password recovery tool for password-protected OneNote notebooks. OneNote password protection is based on strong crypto algorithms, so password breaking is a complex task. OneNote Password uses various recovery methods: Plain Dictionary and Hybrid Dictionary attacks, Brute-Force attacks, and Smart-Force (TM) attacks (this dramatically speeds up Brute-Force attacks). An easy-to-use Automatic Mode is also available.